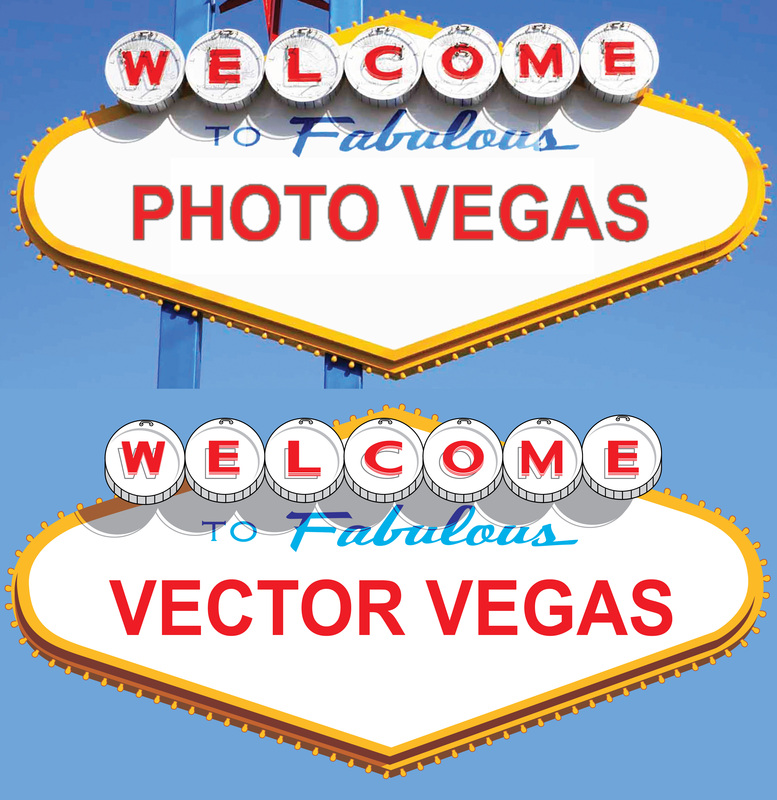 Here is a vector conversion of a famous sign of fabulous Las Vegas. There are many simple elements combined in the vector version, which combined, create the look seen below. Photo images will always look different once vectorized, however, if the photo is simple enough the vector image will look very close.